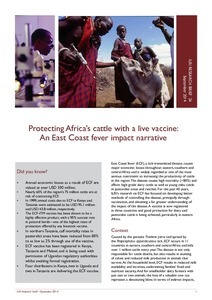 East Coast fever (ECF), a tick-transmitted disease, causes major economic losses throughout eastern, southern and central Africa and is widely regarded as one of the most serious constraints to increasing the productivity of cattle in the region. in pastoralist areas and ranches. 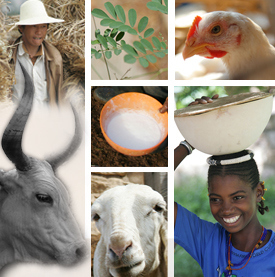 For the past 40 years, ILRI’s research on ECF has focused on developing better methods of controlling the disease, principally through vaccination, and obtaining a far greater understanding of the impact of the disease. A vaccine is now registered in three countries and good protection for dairy and pastoralist cattle is being achieved, particularly in eastern Africa.